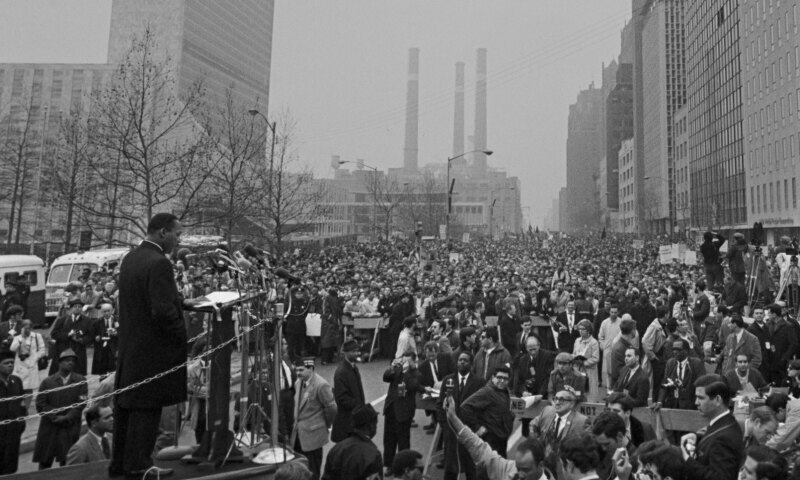 Marking the 50th anniversary of the death of Martin Luther King Jr., King in New York traces the civil rights leader’s encounters with New York from the 1950s until his assassination in 1968. The exhibition’s historic images chronicle King’s sermons in churches and speeches to the United Nations, his discussions about race relations with New York City’s mayor, and his relationships with New York’s own networks of activists. Together, they reveal a lesser-known side of King’s work and demonstrate the importance of New York City in the national civil rights movement.